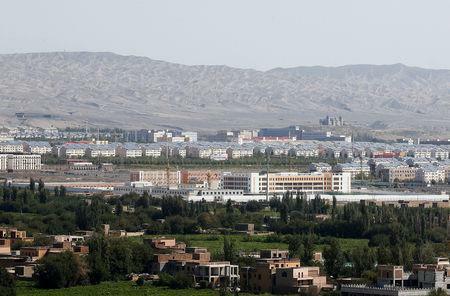 BEIJING (Reuters) - "Highly choreographed" tours to Xinjiang organised by the Chinese government are misleading and propagate false narratives about the troubled region, a U.S. official said, after China announced plans to invite European envoys to visit. The U.S. official described what was happening in Xinjiang as "a highly repressive campaign", and said claims that the facilities were "humane job-training centres" or "boarding schools" were not credible. EU leaders said on Friday the bloc must recognise that China is as much a competitor as a partner.